The High Flyer, with a ground -up restoration in 2017, is a high flying looping attraction that lifts riders over 50ft above the ground. Riders are secured using over the shoulder restraints. You must be 52" tall or taller to ride - with or without adult. 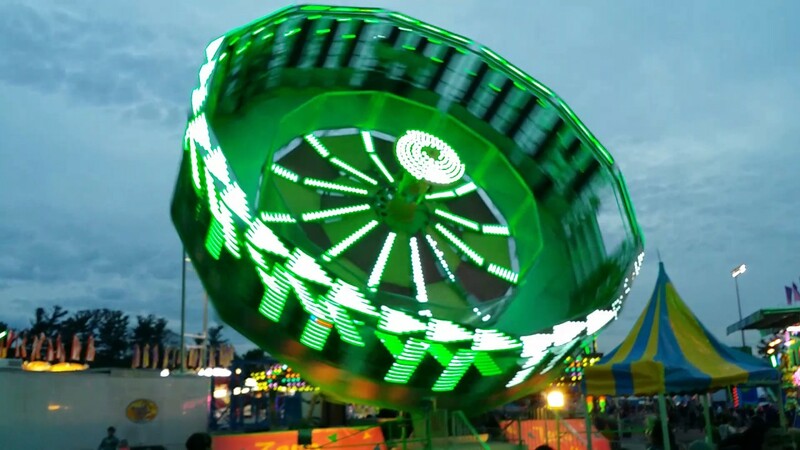 With a spectactular LED lighting package the Hurricane has been completly refurbisished for the 2018 season.The Hurricane consists of 6 arms, each carrying 4 people which undergo a fast rotation combined with a series of fast-paced bounces. 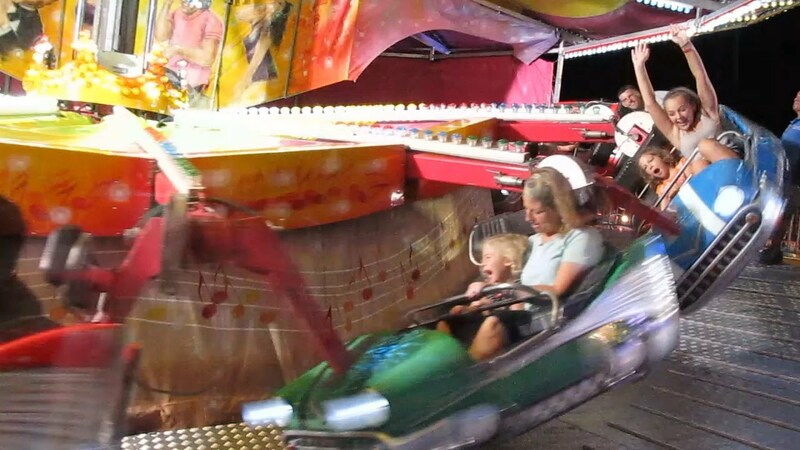 This gives riders of all ages a fun, action-packed ride as the bouncing arms expose the rider to varied speeds and spinning forces, as well as feelings of weightlessness. You must be 50" tall or taller to ride alone. ** Between 42" - 50" can ride with an adult. 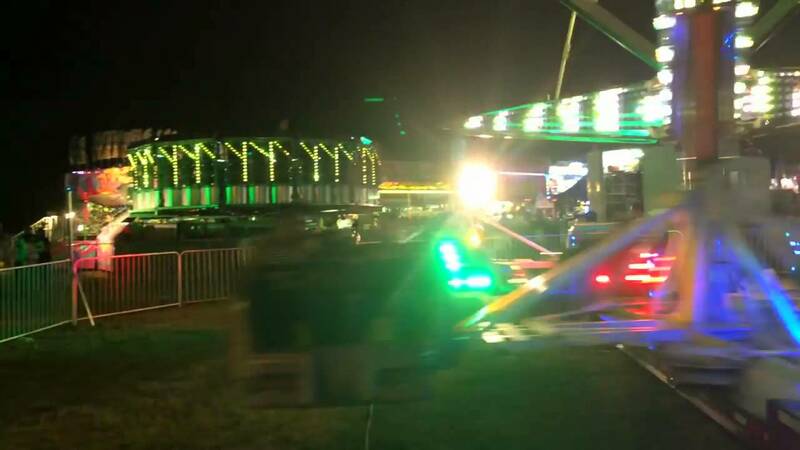 The Sizzler, completely refurbished in 2017, is a modern version of the classic Scrambler ride that spins riders in two different directions. As the center of the ride rotates, so does the spindles which the seats are mounted. You must be 52" tall or taller to ride alone. ** Between 42" - 52" can ride with an adult. SPEED is the ultimate super spectatular thrill ride manufactured in Italy. Towering approximately 100'' in the air and having a gut renching G Force this ride is not for the faint of heart. If you''re a thrill seeker this is the experience you will enjoy! Riders under 52" tall must have an adult. Nobody over 75" tall can ride. 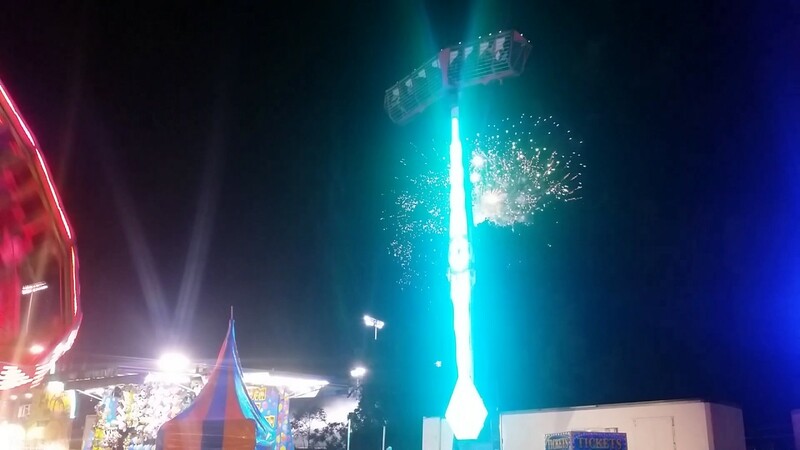 This ride requires 7 tickets per person to ride. The Swing Buggy is a spectacular music ride that features free swinging ride vehicles that move up and down the hills and valleys of the ride. Built in Italy, the Bertazzon Swing Buggy is the only Italian "Bobs" style ride traveling in the USA. The Swing Buggy runs in forward and reverse for an added thrill. The Tilt-A-Whirl is a classic American amusement ride dating back to the 1920s. 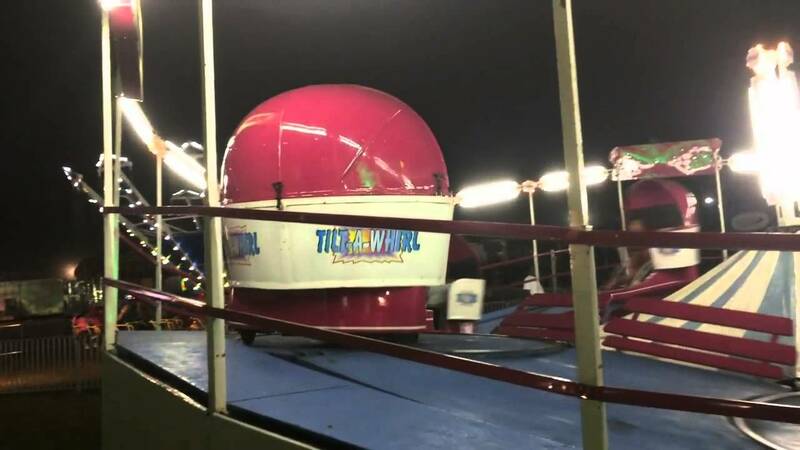 We have two Tilt-A-Whirl rides in our roster. Riders sit in free spinning ride vehicles that rotate as they go over the various hills and valleys of the ride track. You must be 46" tall or taller to ride alone. ** Between 36" - 46" can ride with an adult. The Zero Gravity is a remake of an all-time classic, the Round-Up. It's a family ride that holds up to 33 people. This version, however, has a newly updated beautiful LED light package in 2017 and scenery to match. 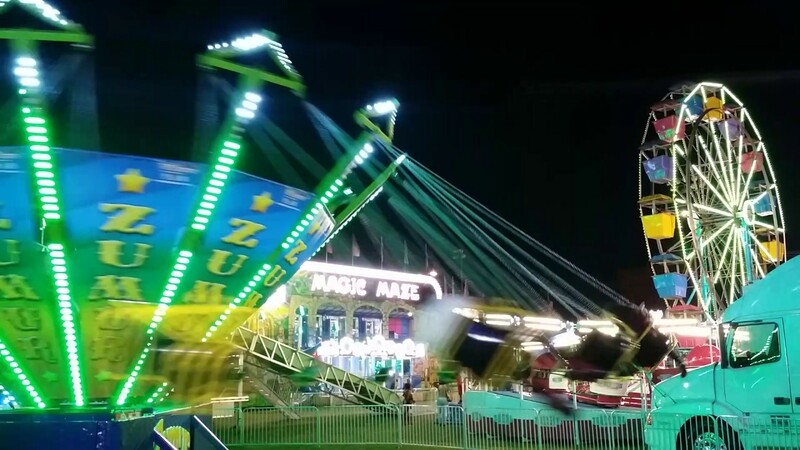 The ride spins in a circular motion. 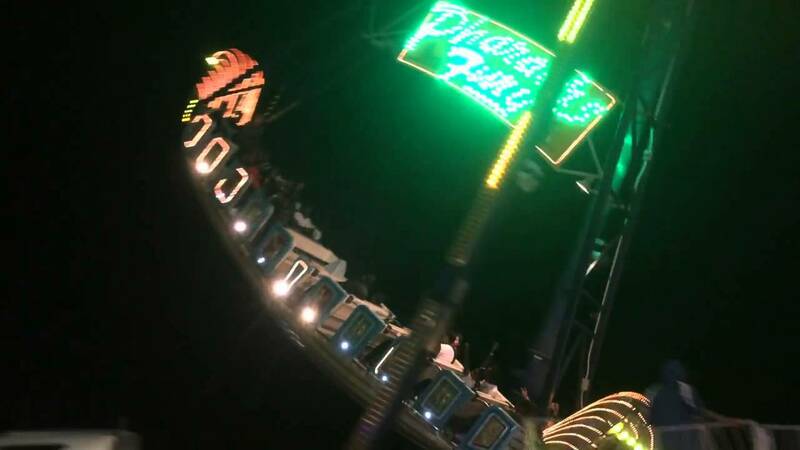 Once it has reached maximum speed, the center of the ride lifts up producing a zero gravity feeling, hence, the name. You must be 46" tall or taller to ride - with or without adult. The Zumur is a traditional swing ride that swings riders in a large 60 foot wide circle at different speeds with their feet dangling below. 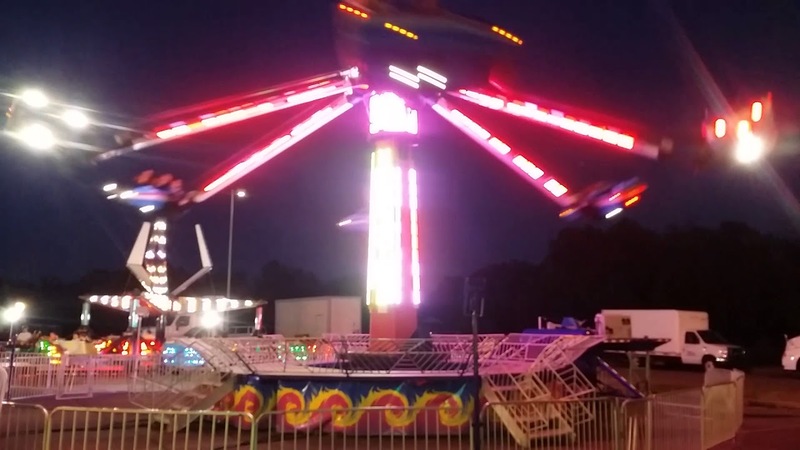 Completely refurbished in 2017 this ride is one of a kind! Enjoy XM Satellite Radio synchronized throughout the midway.